Security software provider Quick Heal Technologies Ltd is lining up a major push into the enterprise market on the back of new products and services based on emerging technologies such as artificial intelligence, two top executives told TechCircle. The Pune-based company, which counts venture capital firm Sequoia Capital as an investor and went public in 2016, will consolidate its enterprise solutions under the Seqrite brand that it had launched three years ago as part its new strategy. It previously offered enterprise solutions under the Quick Heal brand. 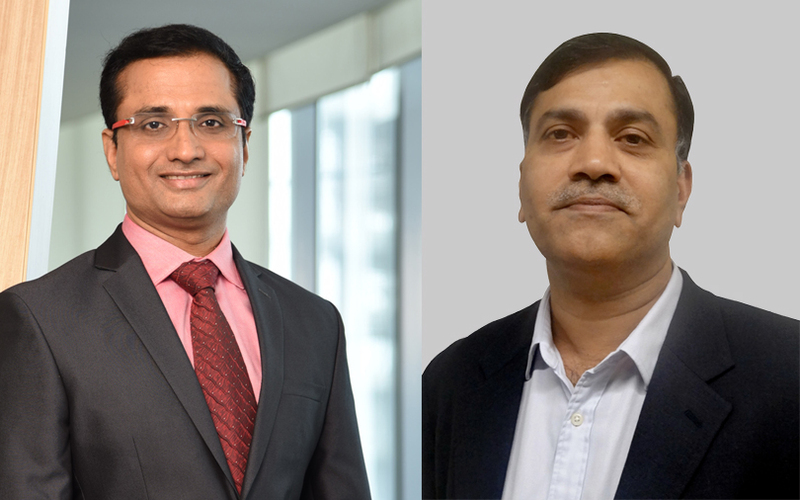 “The focus now is to consolidate our enterprise solutions under Seqrite and offer better products based on AI and cloud to add large enterprise customers,” said joint managing director and technology chief Sanjay Katkar. According to Katkar, the company has about 30,000 enterprise customers. However, most of them are small and medium-sized businesses, said chief operating officer Vijay Mhaskar. This is because Quick Heal had previously focused on SMEs as it felt that no other company was meeting their security requirements, he said. The Seqrite bouquet of products includes endpoint security and encryption, unified threat management and mobile device management. It helps protect enterprises against ransomware attacks, insider threats, security vulnerabilities, infected hardware, phishing attacks and malware, among others. The company’s enterprise services include technical and compliance audit, security management and consulting, real-time monitoring, digital forensics and incident response. It counts Symantec, Trend Micro, Kaspersky, McAfee, Sophos and Fortinet among its rivals. Quick Heal’s focus on large enterprises comes as the market for security software in India grows at a brisk pace. Market research firm Gartner predicts that the total spending on IT security services in India is likely to reach $1.7 billion by the end of 2018, an increase of 12.5% from 2017. Mhaskar said Seqrite contributes about 25% to the company’s revenue while the consumer segment accounts for the remaining. The company claims it has a 34% market share in the consumer segment with 8.5 million active licences and a retention rate of 80%. “However, we believe the next spurt of growth will come from the enterprise business as the market is huge. Hence, we are putting our efforts in that segment,” he said. Quick Heal posted a 6% rise in consolidated revenue from operations to Rs 318.3 crore for the year through March 2018. However, its consolidated net profit jumped 56% to Rs 83 crore as it cut costs. The company attributed the slower revenue growth to weak business sentiment during the initial phase of the implementation of the goods and services tax, which was rolled out nationwide in July 2017. Elaborating on the company’s plans to attract large enterprises, Katkar said Quick Heal was working on an AI-based endpoint threat detection and response product which will hit the market in about six months’ time. “The new product can be deployed via the cloud to manage different endpoints in the enterprise,” he said. Katkar said that while the company has grown in the education sector, it will start focusing on manufacturing, banking and financial services, healthcare and hospitality industries to expand its enterprise business. The company has already made inroads into the government segment through tailor-made offerings, he said. Katkar also said the company was building a cloud-based threat intelligence service. “We already have close to 8.5 million endpoints which are continuously providing us with threat intelligence. Hence, providing a threat intelligence service on the cloud becomes easy,” he said. Another reason why the company hadn’t earlier focused on large enterprises was challenges related to scalability of its solutions, Mhaskar said. The company has now upgraded its technological capabilities to handle bigger loads. “Our R&D team is working on not only making the solutions more scalable but also add newer capabilities which are in demand,” he said. Quick Heal’s R&D team has 389 members, or 35% of the company’s total staff strength. The R&D team has nearly tripled since 2012, Mhaskar said. While Quick Heal has charted out a strategy to expand its enterprise business, it faces challenges from startups and foreign companies, say analysts. Senior Gartner analyst Rajpreet Kaur said there is little doubt that enterprise IT security spending in areas such as security operations centre, threat response and mitigation, and web app security will increase for the next two to three years. But Indian software vendors will face stiff competition from international service providers, who are ahead of the curve, she said. Kaur added that Indian software vendors could grow their margins by taking their products to other emerging tech economies where competition is less fierce. Another analyst, who didn’t want to be identified, said innovation in products will be key to acquiring customers. “There are lots of innovative startups coming up in the security space and these Indian security vendors will face stiff competition from them,” the analyst said.